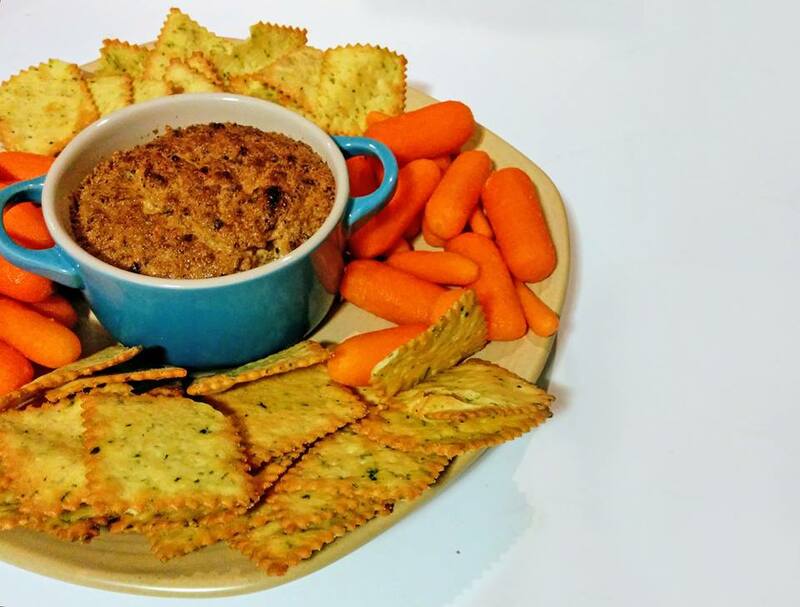 This delicious garlic dip is great with veggies or crackers, or even as a sandwich spread. The black garlic is optional, but it adds an “oomph” of flavor you won’t want to miss out on. Preheat your oven to 375°F. Slice off the top of the garlic bulb, trying to keep it in one piece. Wrap it in tinfoil, leaving the cut part exposed. Drizzle with 1 tbsp olive oil. Clean and chop Brussels sprouts into quarters, toss in 1 tbsp olive oil, and place on a baking sheet with the wrapped garlic. Roast for 30-45 minutes, or until garlic is soft and golden and outer leaves of the sprouts are crispy and dark brown. Allow to cool long enough to handle. Unwrap the garlic and squeeze each clove out of its skin. Add the peeled garlic cloves and the roasted sprouts to a food processor with black garlic cloves, cream cheese, remaining olive oil, paprika, salt, and pepper. Pulse on high until consistency is almost uniform. Top with parmesan and broil in a serving crock for two minutes to add a crispy, flavorful layer. If you don’t have a food processor, you can still make this dip! You will need to smash the roasted garlic with a fork and chop the roasted Brussels sprouts very fine, but it will still come together deliciously when mixed by hand. Love this recipe? Then you’d love our Garlic Kit gift box! Next Recipe: Wonton Mini Cheese Sticks with Black Garlic Sriracha Mayo + Contest!